Neonatal alloimmune thrombocytopenia is a disease that affects fetuses and newborns, in which the platelet count is decreased. It is also known as fetal and neonatal alloimmune thrombocytopenia or feto-maternal alloimmune thrombocytopenia. It is a disorder in which fetal platelets contain an antigen inherited from the father which the mother lacks, most commonly human platelet antigen (HPA)-1a incompatibility. Neonatal aloe immune thrombocytopenia is the commonest cause of early onset isolated thrombocytopenia in an otherwise healthy neonate. Neonatal aloe immune thrombocytopenia syndrome is comparable to haemolytic disease of the new born, although it frequently affects the first infant. The thrombocytopenia results from maternal immunization against specific platelet aloe antigens paternally inherited by the fetus. During pregnancy, the maternal aloe antibodies can cross the placental barrier as soon as 14 weeks of gestation. The foetal opsonized platelets are then cleared in the reticulo -endothelial system. The resulting thrombocytopenia is not only due to increased platelet destruction but also to impaired platelet production. 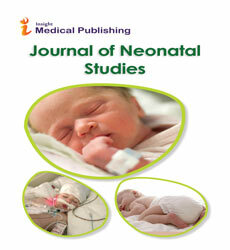 The incidence of neonatal aloe immune thrombocytopenia in the unselected Caucasian population has been estimated by prospective studies to be 1/800 to 1/1000 live births. The most feared complication is intracranial haemorrhage (ICH) in the case of severe thrombocytopenia. The morbidity has been estimated to be 20% of the reported cases and mortality up to 15%. Aloe immune thrombocytopenia can be diagnosed during pregnancy or at birth.